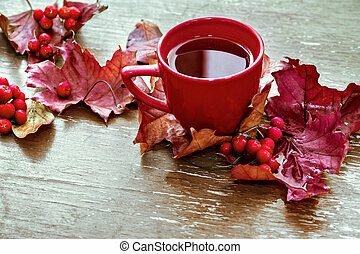 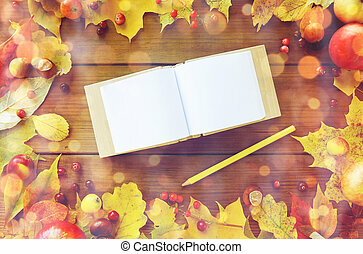 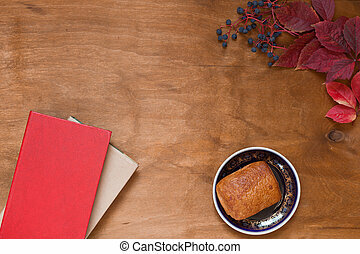 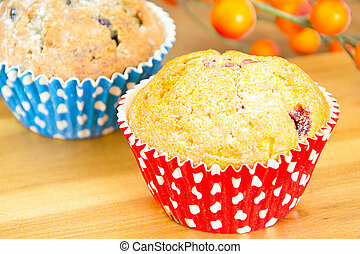 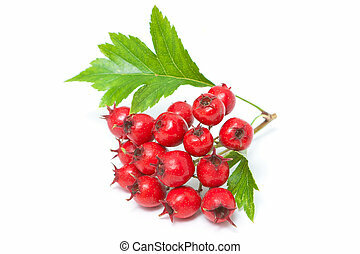 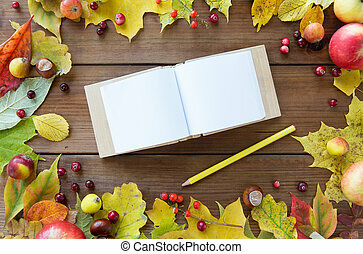 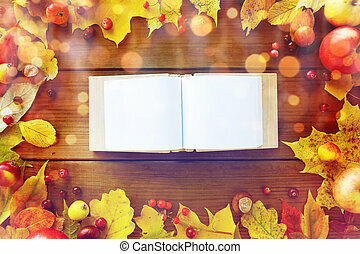 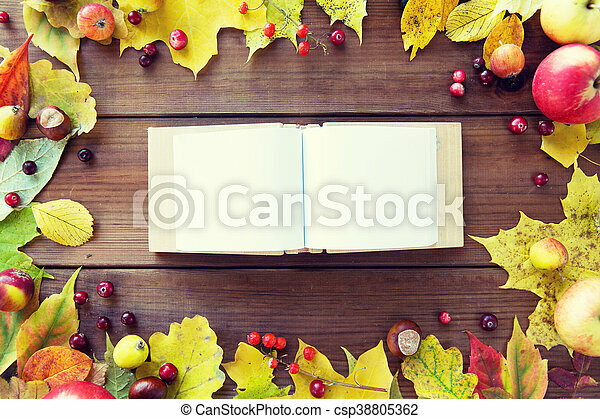 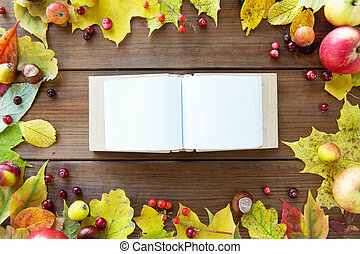 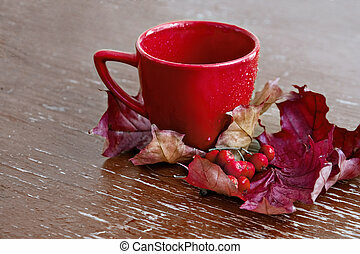 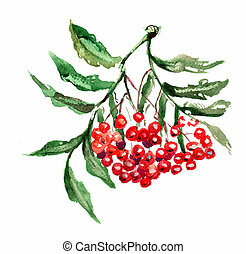 Empty book with autumn leaves, fruits and berries. 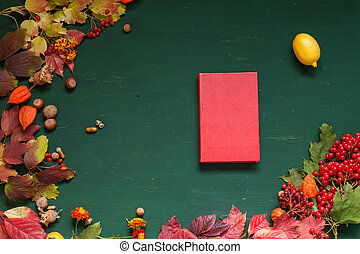 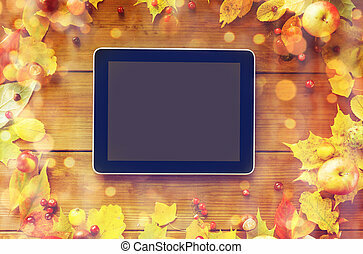 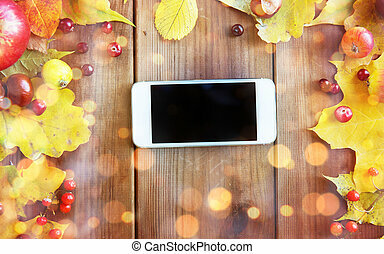 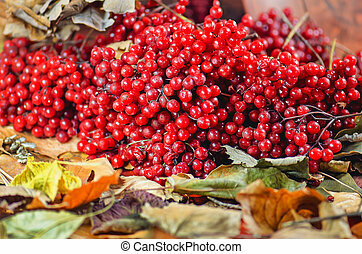 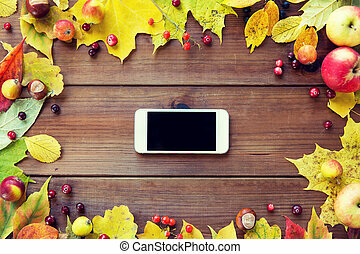 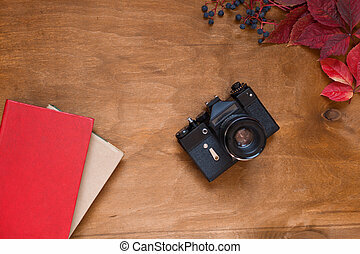 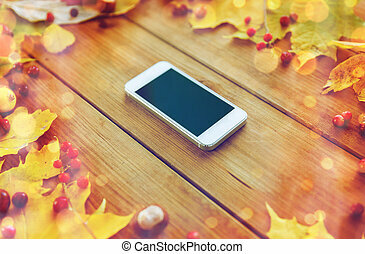 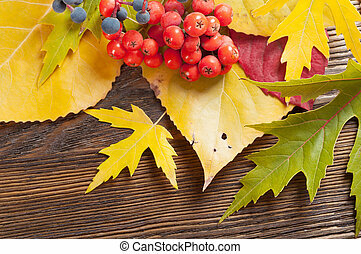 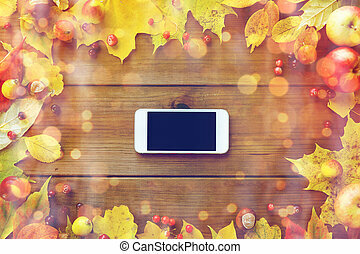 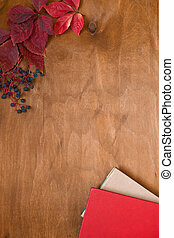 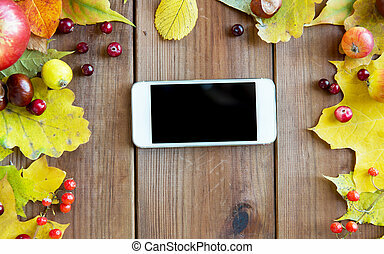 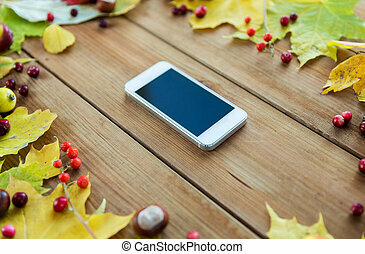 Nature, season, inspiration and memories concept - close up of empty book or album in frame of autumn leaves, fruits and berries on wooden table. 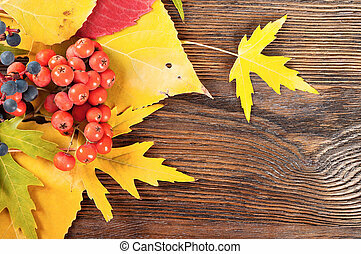 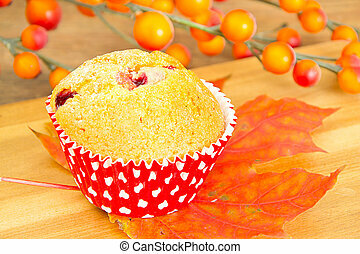 Autumn background with yellow leaves and rowan berries.